Click an image to view 1080p screenshot. Images captured from included Blu-ray edition and do not represent the quality of the 4K Ultra HD presentation. I do not know if I totally understand - or was meant to - what I witnessed in Alex Garland's (Ex Machina) science-fiction mindbender Annihilation, but I applaud Paramount for backing such a nebulous wide release. They did have some trouble marketing the film, which is based on Jeff VanderMeer's "Southern Reach Trilogy," and it was a box office disappointment. I suspect it will find new life on home video, and Garland again proves to be a talented visual and narrative director. Natalie Portman joins actresses Jennifer Jason Leigh, Gina Rodriguez, Tessa Thompson and Tuva Novotny as one piece of a team tasked with entering "The Shimmer," a mysterious anomaly extending outward from a lighthouse and threatening to take over populated land. Garland pulls themes and plot threads from VanderMeer's novels, but is not a slave to the source material. Instead, he crafts an intricate, thought-provoking and suspenseful film with big-screen visuals and strong performances. 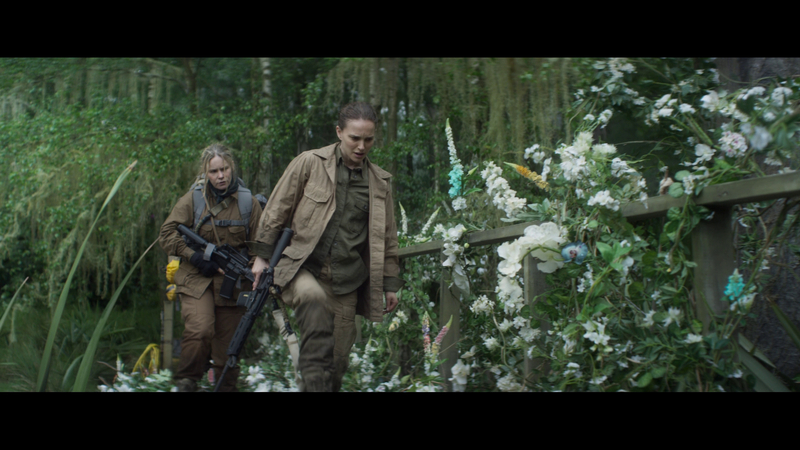 Annihilation will not be universally adored, but it already has made a positive impression with sci-fi enthusiasts and fans of the novels. Cellular biology professor and ex-soldier Lena (Portman) struggles to cope with the loss of husband Kane (Oscar Isaac), who disappeared a year prior on an Army Special Forces mission. One night, Kane miraculously appears on the staircase outside their second-floor bedroom, appearing slightly dazed and offering few answers about the mission or how he got home. When he begins convulsing and spitting up blood, Lena calls for help. During the transport, government security forces intercept the ambulance and take Lena and Kane to Area X, a government facility near the outer boundary of the Shimmer. Dr. Ventress (Leigh) tells Lena that several military teams have entered the electromagnetic field and never returned. Kane is the only survivor, and is now comatose and in full organ failure. Lena offers to help find a cure, and agrees to join Ventress, scientists Josie (Thompson) and Cassie (Novotny) and medic Anya (Rodriguez) on a mission into the Shimmer. 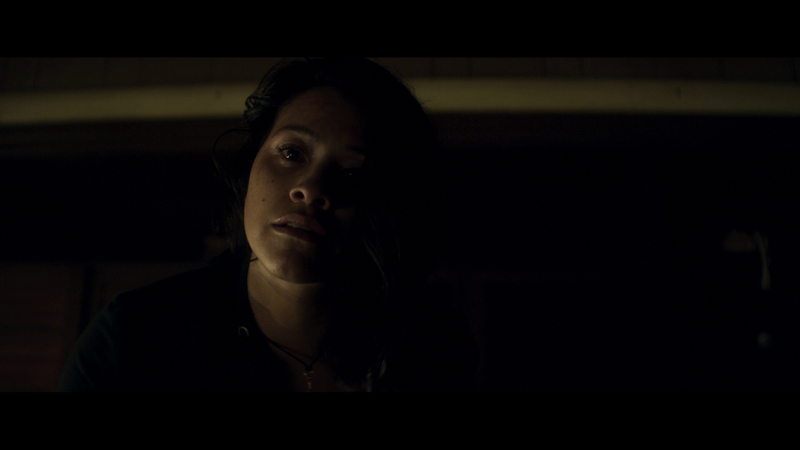 Lena soon realizes each woman is damaged in some way, and realizes she may be the only one with intentions of returning to safety. Garland begin his career as a novelist before writing screenplays for films 28 Days Later and Sunshine, among others. His directorial debut, Ex Machina, questioned identity, its origin and the ethics of artificial intelligence. Considering those themes, I can understand why VanderMeer's novels attracted the director. 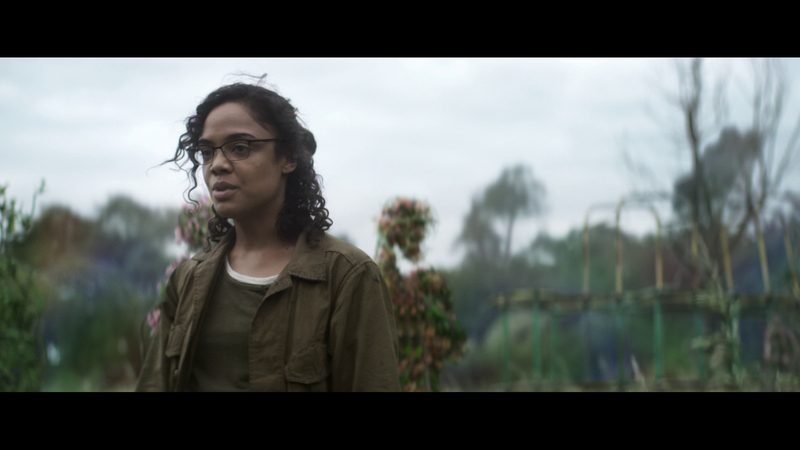 Annihilation also deals with identity, memory, doppelgängers and a genetic musical chairs of sorts. Garland takes major themes from the source material, but condenses and re-writes certain plot elements to better serve his visual medium. Unique is the largely female cast that feels integral to the story without becoming a gimmick. 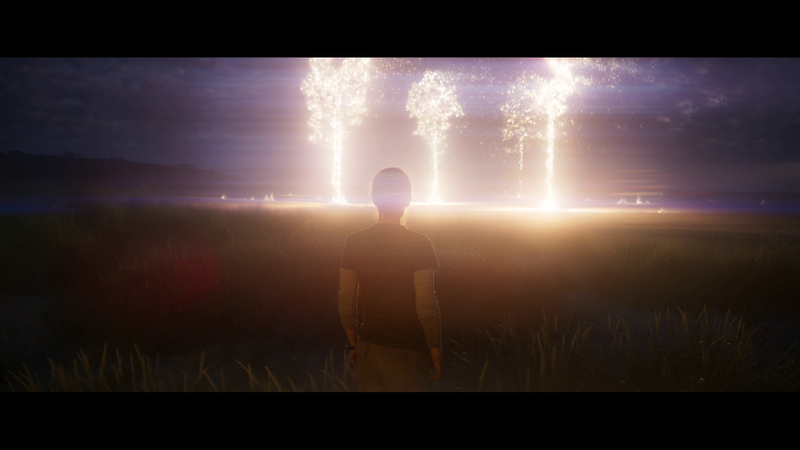 Viewers requiring a complete explanation of the Shimmer and other concepts in Annihilation will likely be disappointed, as Garland leaves much open to interpretation and possible follow-up films. 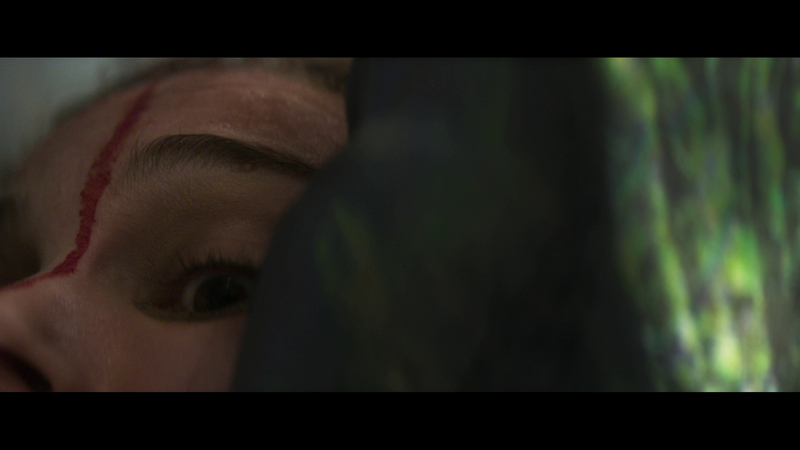 What Lena and company finds inside the Shimmer is an altered nature in which genetics mingle, creating frightening and beautiful new life forms. It is this alien environment that becomes the first antagonist. 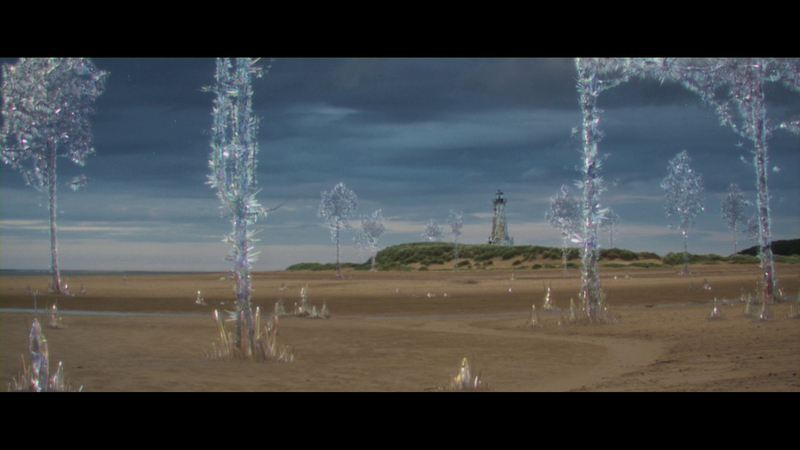 The secrets of the lighthouse are best left to the viewer, but Annihilation is interesting in that its "villain" is neither villainous nor traditionally human. The film flips the age-old struggle of good vs. evil on its head with the frightening reality of an enemy that does not want anything in particular. I hate to say you have to experience Annihilation to know more, but I would be doing you a disservice to dissect this tricky narrative further. Garland's film moves at a good clip through its 115 minutes, and he creates an atmosphere of queasy suspense and dramatic intrigue. 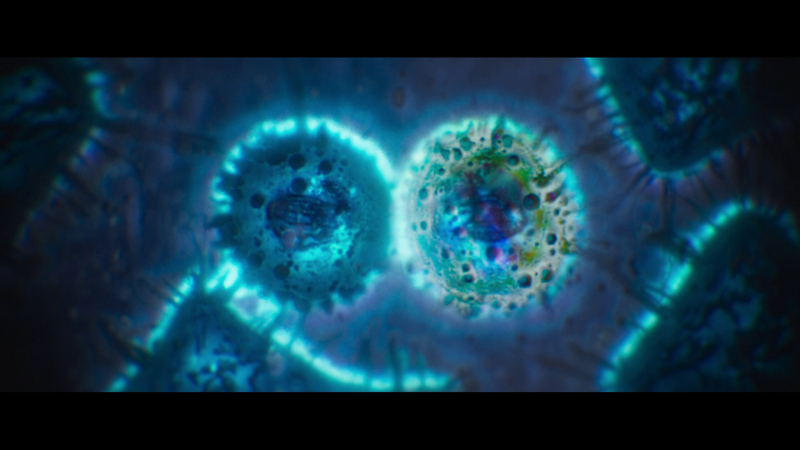 The visuals are beautiful, as is the cinematography of returning collaborator Rob Hardy. 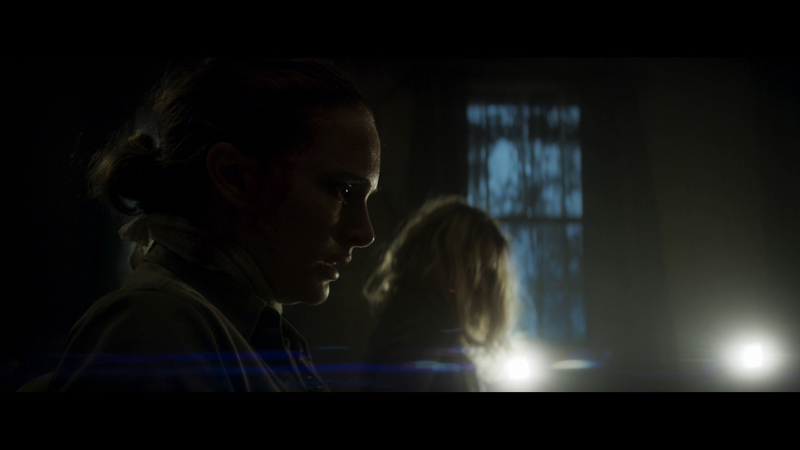 Creatures and sets are particularly impressive given the moderate budget, and Annihilation seamlessly blends the practical and digital to create a beautiful, organic atmosphere. Portman is excellent, as are her female co-stars, and Isaac is also impressive in his limited performance. Garland continues to be one of the most exciting talents in science fiction and filmmaking in general. Annihilation weaves a twisted web of interesting ideas and questions, and is a welcome diversion from typical blockbuster fare. 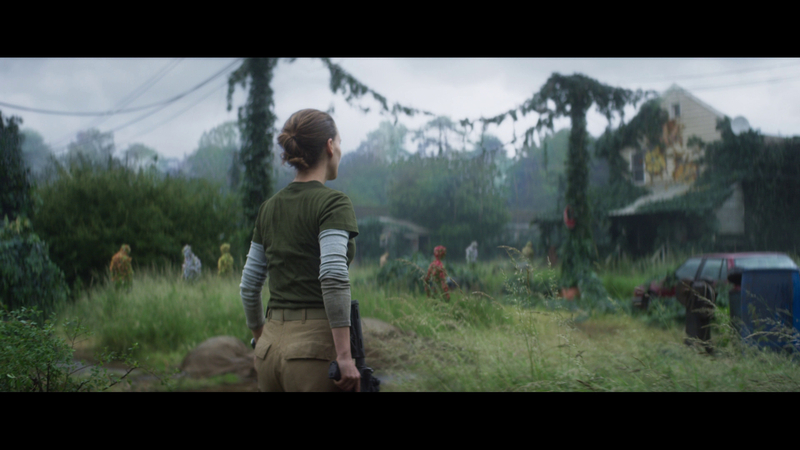 Paramount presents Annihilation on 4K Ultra HD with a 2.39:1/2160p/HEVC/H.265 image, with HDR10 and Dolby Vision. 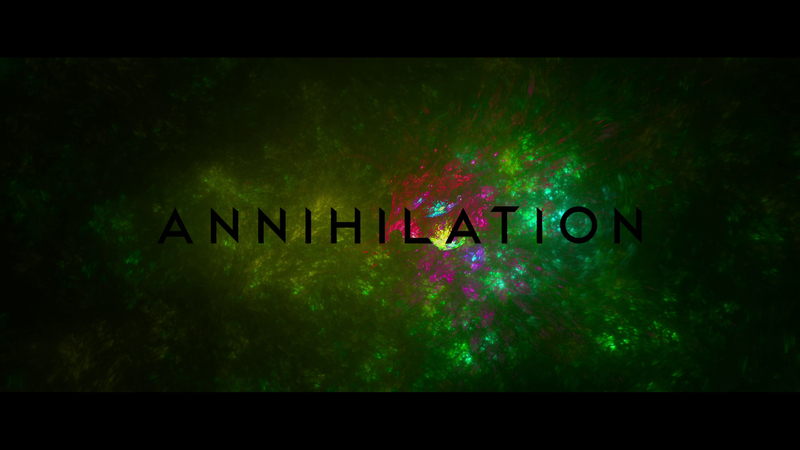 Shot digitally at 4K and 6K resolutions, Annihilation was finished at 4K, making this a true 4K presentation. The results are extremely impressive, and I've been surprised to see some grumblings online about the film's appearance. Garland and cinematographer Hardy offer a lush, often-dreamlike atmosphere, and the 4K release handles the intended look expertly. Detail is off the charts, from intimate facial features to colorful flora to fearsome creatures to the gorgeous, digitally enhanced landscapes. Skin tones are natural, and highlights never bloom. Black levels are inky, and abundant shadow detail is retained. The HDR pass is not jarring, but instead effectively enhances some of the heightened colors and more natural landscapes. I really enjoyed the look of this film, and cannot find anything to fault with this presentation save some very minor shimmer. The softer focus shots are intentional, and viewers who appreciate subtle, natural presentations will relish this 4K image. The Dolby Atmos soundtrack, which I experienced as a 7.1 Dolby TrueHD mix, is also extremely impressive. Garland adds to the unnatural surroundings by keeping viewers on edge with a manipulative score from Ben Salisbury and Geoff Barrow. Intentional or not, the soundtrack recalls cues from Close Encounters of the Third Kind and is haunting. Inside the Shimmer, Garland uses the LFE to create an extended, unsettling bass accompaniment, which is extremely effective. Speaking of bass, this mix has some of the best LFE response I have ever heard. The track is packed with sound pans and directional dialogue. Water laps at the rear speakers; an unnatural animal scream pans the room; and gunfire erupts around the entire soundscape. Dialogue is crystal clear, whatever the volume, and the elements are mixed expertly, without a hint of crowding. Range, fidelity and volume level are all impeccable, too. French and Spanish 5.1 Dolby Digital dubs are included, as are English SDH, French and Spanish subtitles. Southern Reach - Under this section you get "Refractions" (11:20/HD) and "For Those That Follow" (15:04/HD), which discuss adapting the novels for the screen, the complicated themes and the characters. Area X - "Shimmer" (12:12/HD) and "Vanished Into Havoc" (15:03/HD) cover the filmmaking process, digital effects and production design. To the Lighthouse - This section offers "Unfathomable Mind" (11:46/HD) and "The Last Phase" (8:06/HD), which cover the science and science fiction of the film and spotlight director Garland and his cast. Challenging, beautifully shot and thought-provoking, Annihilation is another exciting science fiction film from Alex Garland. 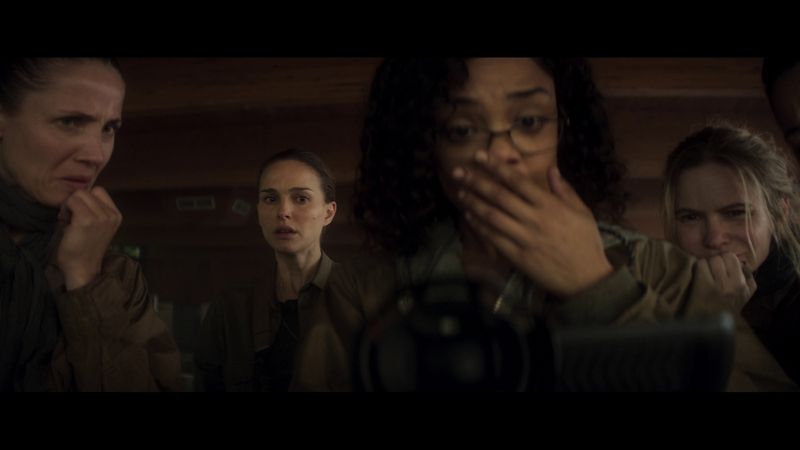 Based on Jeff VanderMeer's novels, Annihilation sees a team of strong females, including Natalie Portman's Lena, enter an electromagnetic anomaly where the laws of nature are altered. The 4K Ultra HD release is technically excellent and offers some interesting bonus content. Highly Recommended.